Silver Bay is a wonderful place to own a holiday home. Our stunning beach matched with excellent amenities and lodges that are designed with beautiful finishes are perfect for those seeking a slice of luxury right here in the UK. Located on Anglesey, Silver Bay is the perfect retreat for you and your loved ones. Whether you want to holiday with your family or want to spend time reconnecting with friends, Silver Bay is the destination to choose. Below we’ve listed some of the main reason homeowners are proud to own a lodge at Silver Bay, and we’ve even gone out on social to see what everyone really thinks. 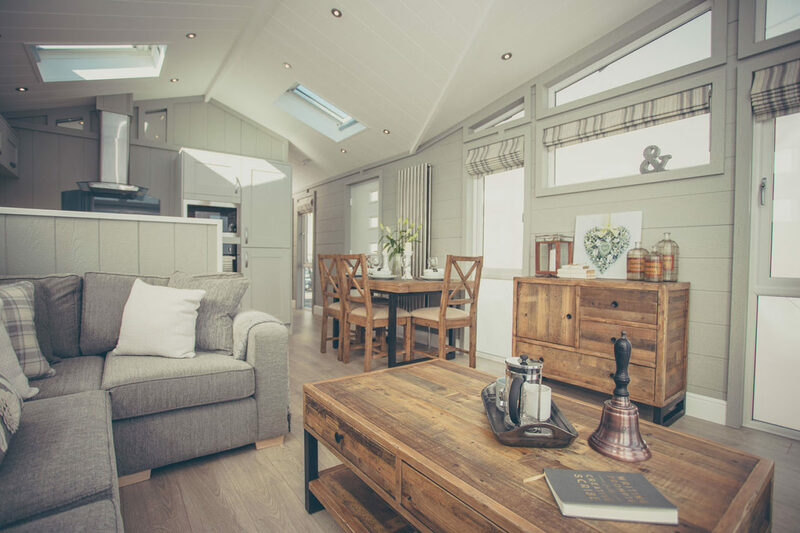 If you’re considering buying a stunning Silver Bay lodge, then this the blog for you. Take a look below to find out more! One of our best features here at Silver Bay is our stunning private beach. In fact, you might not be aware but we’ve actually won a prestigious award which we’re incredibly proud of! We were given The Green Coast award last year, making us one of the cleanest beaches in the country. We know our residents enjoy spending time here relaxing in the sun and exploring the many rock pools with their little ones. It’s an excellent day out for all no matter what your interests. As well as providing our residents with a gorgeous private beach we also have a range of stunning amenities on site. Our £1.6 million spa and leisure centre was finished just last year, and we are also undergoing a refurb in our bar and restaurant areas making them the perfect spot to relax, drink, and enjoy some lovely food. For a sneak preview of our restaurant’s new look, make sure you explore right here! The ease of access to Silver Bay is one of the many reasons why so many choose to buy here. It’s like having your very own slice of paradise without needing to leave the country, and it truly is amazing. All you need to do is pack your car and head off onto a Silver Bay adventure. It really is that excitingly simple! 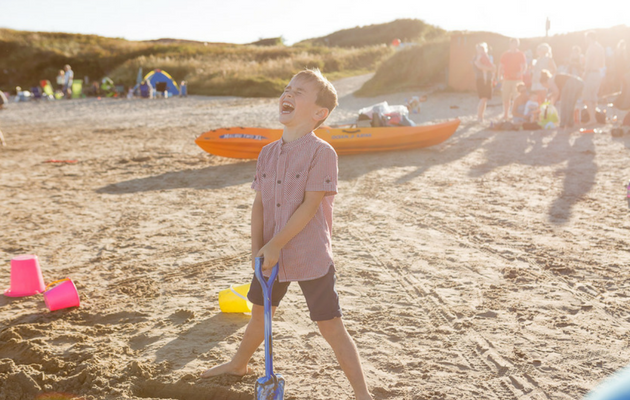 We love people of all ages visiting our holiday park which is why we make sure we have plenty of fun activities for all to enjoy. During the school holidays, we host an array of activities for children of all to get involved with. From baking classes through to movie nights, your little ones will have loads of things to do to stay entertained! As well as this, Silver Bay is all about transporting you back to the childhood adventures of days gone by. Frolicking on the UK beaches will remind you of your own childhood and bring back the nostalgia. With a lodge here you get the chance to create these perfect memories with your own little ones, too. It’s certainly very magical indeed. Another reason many owners are proud to own a lodge here at Silver Bay is because of our sense of community. Everyone is welcome to Silver Bay, and we’re all part of one big family. We spend plenty of time getting together at our Silver Bay parties, and they’re a fantastic place to mingle and make new friends. Some would go as far to say that there’s a sense of pride of being part of our community and we welcome people from all walks of life. Why not see where you fit in and become part of our community too? Another reason why Silver Bay is popular with our owners is because of how safe our grounds are. Our community is gated, meaning only residents can get access. This is a great draw for those wanting to make sure their little ones are safe if they’re out playing on the grounds, and one of the many reasons why they’re so proud to own a lodge here! Below you can hear direct from our owners that we’ve spoken with on Facebook so you can get a great idea for what lodges and life on Silver Bay are like. Are you interested in owning a holiday home here at Silver Bay? Then why not take a look at our free eBrochure. Here you’ll find everything you need to know about our properties. You can also give us a call on 01407 860 111 to find out more. Our friendly staff members will be more than happy to assist with any questions or queries you may have!